You are here: Home / Search for "thanksgiving"
Beaujolais is a region in France, just south of Burgundy; depending on who you talk to, some experts will include Beaujolais in their discussion of Burgundian wine. It is made up of 12 appellations (or specific winegrowing areas) — thus the “s” at the end of the name. Beaujolais Nouveau is a wine made from Gamay grapes grown in the Beaujolais region and released in the same year of its harvest. When does Beaujolais Nouveau arrive? Bottles of the current year’s Beaujolais Nouveau are officially released on the third Thursday of November. For many years, the official date was November 15th, but in 1985 it was decided that a Thursday release would bring about a more festive celebration, as people tend to party on the weekend. What? you don’t start your weekends on Thursday? Might be time to move to France. What is the history of Beaujolais Nouveau? Legend has it that the wine was something of a cult wine in the French bistros, bars, and cafes surrounding Beaujolais and Lyons, produced by the local growers and delivered in barrels. In the 1960s, Nouveau was bottled and marketed outside of France for the first time, and the rest is marketing history. How is Beaujolais Nouveau made? Few other wines are produced, bottled, and released within a few weeks of the harvest. The most strategic way to do this is to employ a winemaking method called carbonic maceration. Without getting too technical, carbonic maceration is essentially the fermentation of grapes occurring inside the skins. Traditionally, the winemaking process begins with the crushing of grapes; the juice of the grapes is pushed out of the skins and gradually ferments. For red wines, this juice is often left to sit with its skins so that tannins are extracted, giving the wine a fuller, more concentrated structure, and often adding some bitter flavors. With carbonic maceration, the grapes are not crushed. Rather, the grapes are piled on top of each other in a sealed container that is filled with carbon dioxide. More CO2 is emitted by the grapes on the bottom of the container, as it is gently crushed by the weight of the top grapes. All this carbon dioxide causes fermentation to take place inside the grape skins (don’t ask why, take a chemistry course!). 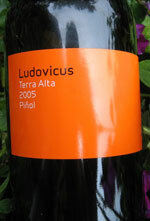 The resulting wine is fresh, fruity, and very low in tannins. What Does Beaujolais Nouveau Taste Like? It’s hard to say, because it tastes different every year. Typically, it’s a lot like a kicked-up grape juice. Nouveau will have very bright, fresh, red fruit flavors, such as cherry, strawberry, and raspberry, and will be delivered to your palate with a distinct zing. Because of the lack of tannins, it should be very soft in the mouth, and easy to drink. Beaujolais Nouveau is not a wine to sniff, swirl, and contemplate; it’s a wine to pour and party with. Consider it a beverage accessory. How should I drink Beaujolais Nouveau? Chilled. Unlike most red wines, you will want to put a Nouveau bottle in the fridge for about 15-20 minutes before drinking, as a slight chill will bring out the fresh flavors. Don’t have the time for that? Pour it over ice cubes! One of the fantastic things about drinking Beaujolais Nouveau is that wine snobs won’t come within 50 feet of it. So, you have the pleasure of performing all sorts of wine sacrilege on it. Drink it on the rocks, out of a plastic cup, with a straw, straight out of the bottle if you want. There’s a whole website devoted to drinking the “wine without rules”, including tips on throwing a Beaujolais Nouveau arrival party. Another thing: drink it within a few months of release. Because of the way it is made — by carbonic maceration — Nouveau has almost no tannins, and tannins are one of main preservatives of red wine. With no natural preservative, the fresh fruit flavors you taste in Beaujolais Nouveau in November will fade away by the following spring (or sooner). But that’s not such a bad thing — that’s around the same time the “real” Beaujolais wines are released. In a way, Beaujolais Nouveau is a preview of what’s to come in the way of Beaujolais Villages and Beaujolais crus, such as Morgon, Moulin-a-Vent, and Julienas. More on those wines in a future article. What foods match with Beaujolais Nouveau? NOT red meat, that’s for sure. Because of the lack of tannins, you’ll want to avoid proteins, for the most part. However, its fresh fruitiness will match remarkably well with simple foods such as pigs in blankets, sausage, ham salad, and macaroni and cheese. There’s a French dish called Gougeres that is typically served with Beaujolais Nouveau; essentially it is a cheese puff made with Gruyere. Nouveau is also a good choice to match with fondue. The timing of Nouveau’s release couldn’t be better for Americans, as it may well be the perfect bottle to bring to Thanksgiving dinner. At one week old, it is just bright and fresh enough to go with turkey, and it has the versatility to complement nearly all the trimmings — particularly the cranberry sauce. How is this year’s Beaujolais Nouveau? Vignerons in Beaujolais report that the 2005 vintage will rival 2003, which many consider one of the greatest years in the region’s history. Of course, wine producers will always promote a new wine positively, but I think we can trust that 2005 Nouveau will be fresh, ripe, and fruity. We’ll know for sure in just a few days. Where Can I Buy Beaujolais Nouveau? Around the end of November, it will be hard NOT to buy, as it is the most heavily promoted wine upon release. Most wine shops and liquor stores will begin carrying Beaujolais Nouveau on its release date: the third Thursday of November every year (November 15th in 2007). Cases and bottles of Nouveau will likely be surrounded by colorful bunting, banners, balloons, and posters from that date through the new year.